The EduNerds are leaving and in their place music groupies, film aficionados, and gaming junkies descend upon Austin for the “other” SXSW events. 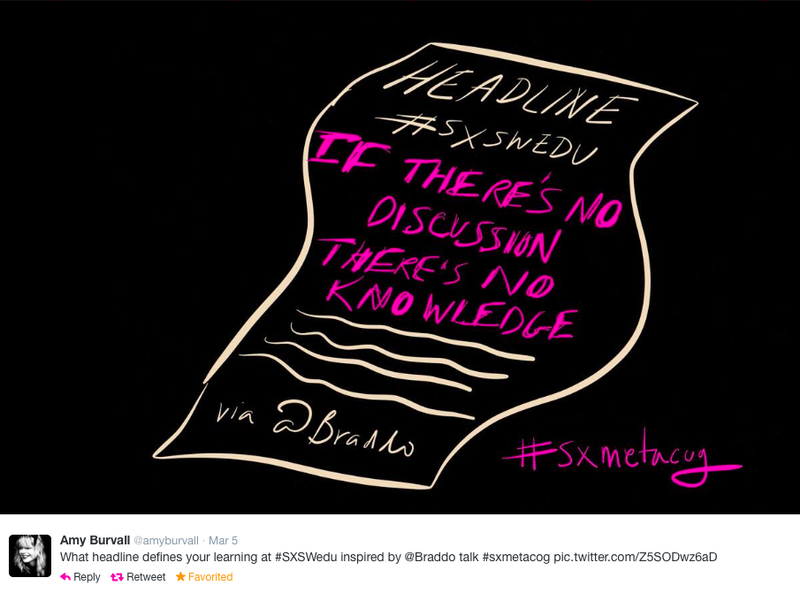 The Jeffrey Tambor keynote and Pok-e-Jo’s BBQ may have signaled the end of SXSWedu 2014, but hopefully the learning, connecting, and action is just getting started. According to executive producer, Ron Reed, “SXSWedu provides a powerful platform to drive meaningful change and constructive, actionable outcomes.” I know… sounds pretty nice, but here’s the question I want to keep asking: What will it take to see this change? SXSWedu may set the stage, but we still have to perform the show. A conference can provide a platform and opportunities to connect, maybe even develop a sort of culture, but ultimately we are responsible for how we engage in learning opportunities both during and beyond the conference dates. We choose what to make of the conference and what the conferences makes of us. Classroom teachers, entrepreneurs, investors, professors, thought leaders, students, and non-profit organizers from across the world gather in one place for four unique days of conversations, connections, and growth. People come to inspire and be inspired. Beyond the planned events, in the nooks and crannies of a jam packed schedule, the informal learning takes place. When everyone is willing to take a moment and talk about things that matter, a culture of thinking develops. And it is this collective cognition that makes the event so powerful. Met a lot of incredible people….check, check! But I want to talk about the moment of truth (insert inspirational trumpet music here). That moment when we all part ways. When we get in the car (or on a plane or other mode of transportation) and go home, reflecting on what just happened. In that moment will we say, “that was really cool I can’t wait to see all those folks next year.” Or will we choose to solidify connections, commit to action… and then actually do it. This is the moment to stop talking and start doing. Don’t let innovation die at the steps of the Hilton and Austin Convention Center. Don’t leave the change you want to see lying in your suitcase. Don’t disconnect from the connections you made. It was scary and awkward to talk to that person in the first place. Use the momentum of your active mind and your active connections to pursue innovation in education. We can’t keep talking without action. Our kids are way too important to leave change in the hotel lobby. Here’s the thing, change is not going to be easy. In order to get something done, to shift a culture, or to create lasting impact, it is not going to be one phone call, one tweet, one lesson. 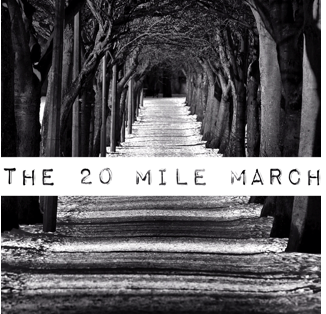 Most likely change will be more like the “20 mile march” Jim Collins writes about. It is going to be setting flags (performance indicators/mini-goals) along the way to make sure you don’t stray of course. It is going to be getting told “no” several, or several hundred times, before “yes”. It may be failing. But change is worth it and our kids are worth it. 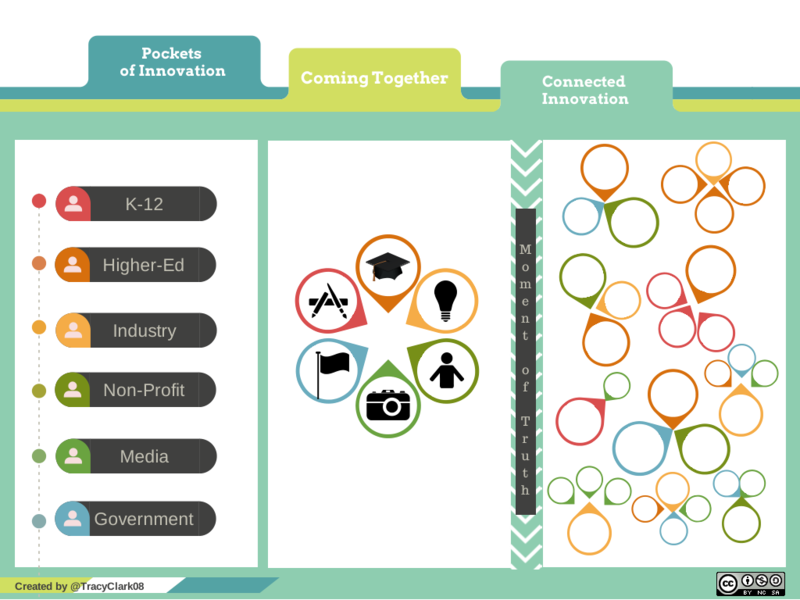 SXSWedu brings together pockets of innovation. But will we leave the conversations in Austin or follow through, creating connected and tangible innovation and impacting the future of learning? SXSWedu self labels as a “catalyst for change in education”. Instead of complaining about where that fails to be true, why don’t we just go out from this conference and make it true.